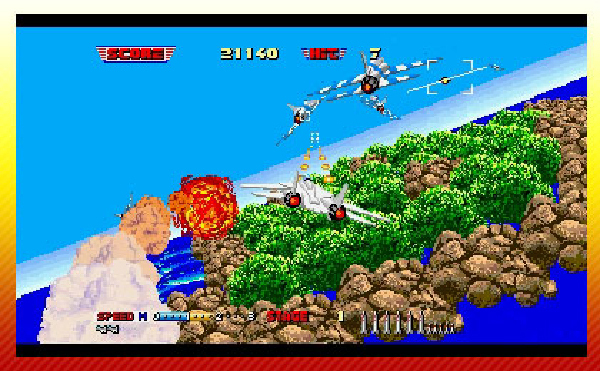 3D After Burner II marks the first game in the next series of SEGA 3D Classics for the 3DS and it’s coming to the European eShop on the 15th of January. These games are remastered with stereoscopic 3D visuals as well some other additional features like saving, gyroscope controls and extra gameplay modes. The game will be priced at £4.49 for the UK and €4.99 for the rest of Europe. The 3 model 2 fighters Virtua Fighter 2, Sonic the Fighters and Fighting Vipers are now available for Western gamers. The titles are available on XBLA and PSN for 400MSP and $4.99 respectively. UK pricing is £3.69 per game and European pricing is €4.49. Additional features include widescreen support and the inclusion of “lost” character Honey the Cat in Sonic the Fighters. The latest Jet Set Radio port that has appeared on XBLA and PSN is now available on iOS in New Zealand. A Western release is expected at midnight tonight. The iOS version will be available for £2.99 in the UK and $4.99 in the US. This version is controlled through virtual controls as iOS devices don’t have buttons. You can also take photos and use them as in-game graffiti tags.